The “Lates” programme of live music and concept clubs at VAULT Festival kicked off with Videopia on 10th February at the Old Vic Tunnels. I’ll do my best to explain Videopia, but I’m unlikely to do it justice. Imagine a montage of your favourite moments from cinema history - Gene Kelly swaggering down the street before ditching his brolly to sing in the rain, Sam and Frodo destroying the ring in Mordor, John Travolta and Uma Thurman twisting up a hurricane on the dancefloor in 'Pulp Fiction'. Now picture a stylish twentysomething crowd with clinically amateur acting skills, draped in whatever they found in a treasure chest of costumes, let loose on a stage in front of a live audience to reinterpret the magic. The footage is cut up, and with minimal airbrushing of your dignity, the final edit is played back near the end of the night while everyone is busting their final grooves. You can’t fault the originality. 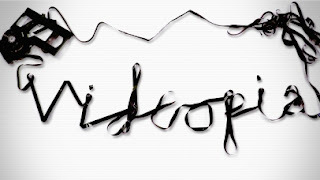 Videopia brings the giggles of home-movies and the joy of quotable cinematic one-liners into the club experience. It is a safe environment to maim cinema’s greatest scenes. Plenty of smiles all round and not a hint of mockery. The only slight shame is that the interactivity broke up a really strong DJ set. Nevertheless, a really fun night leaving you grinning under the limelight or simply enjoying the Hollywood travelling circus. Undoubtedly, you’ll be left reciting 'Casablanca' or 'The Graduate' on the yellow brick road home. Find more at thevaultfestival.com and videopia.co.uk.